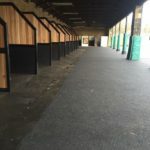 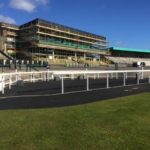 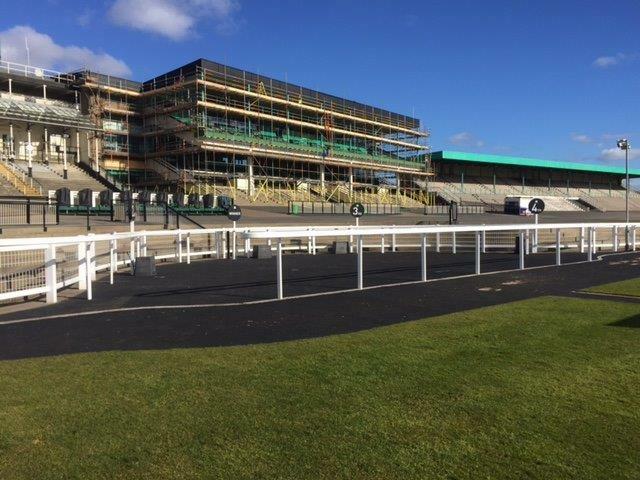 Quattro were tasked to rubberise the Parade Ring, Horse walks and Unsaddling Area using our Flexscreed through a very chilly autumn. 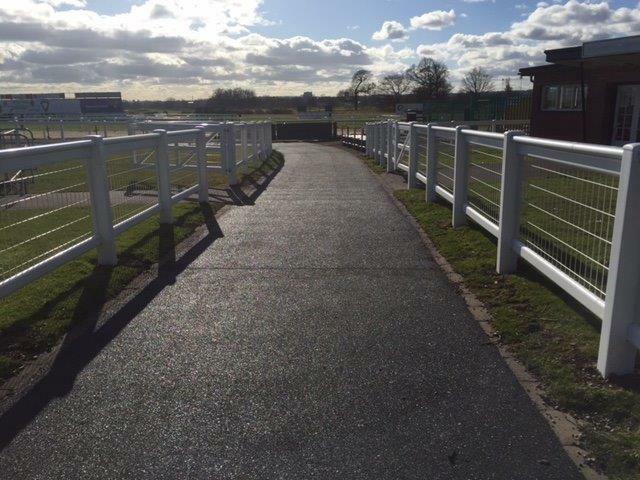 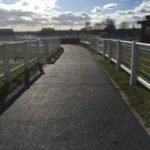 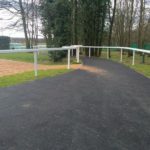 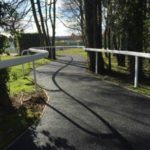 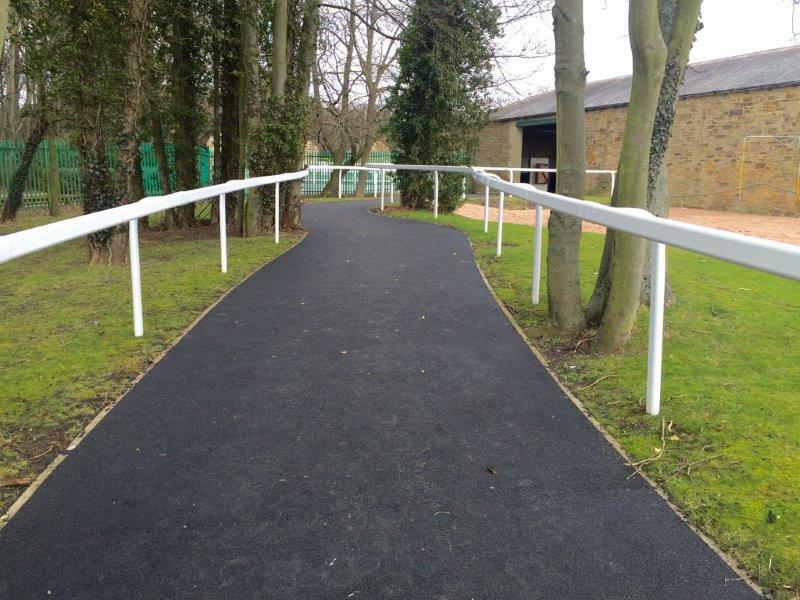 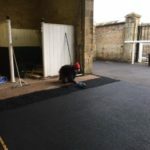 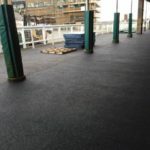 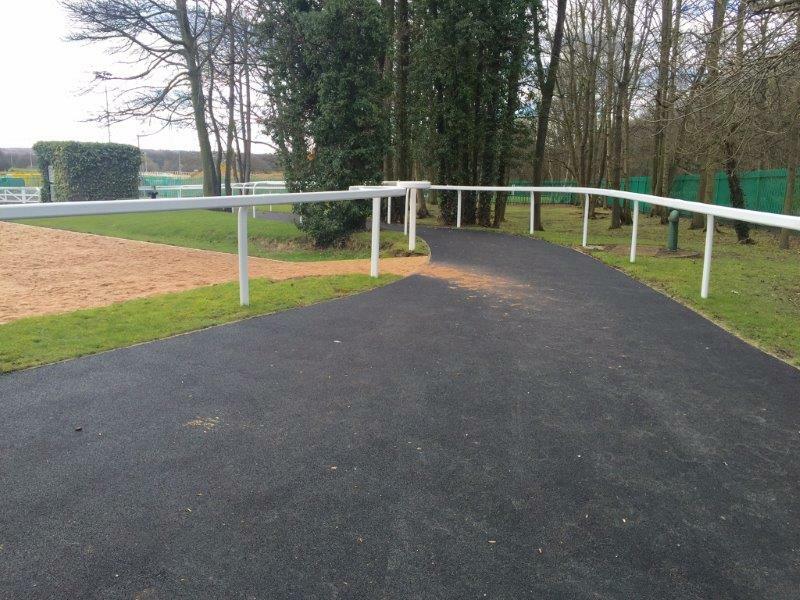 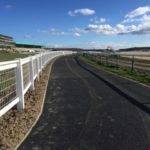 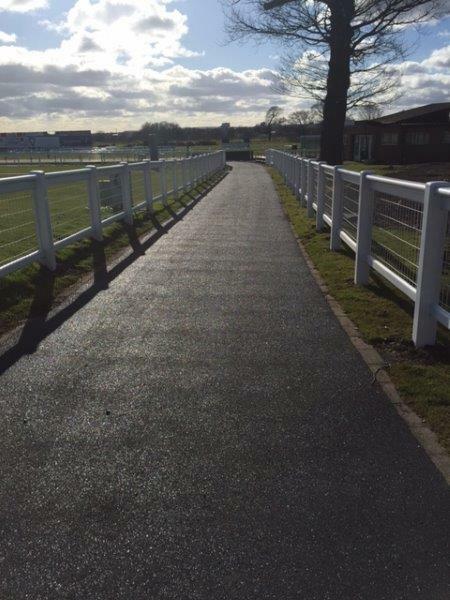 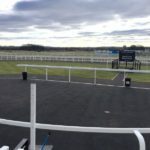 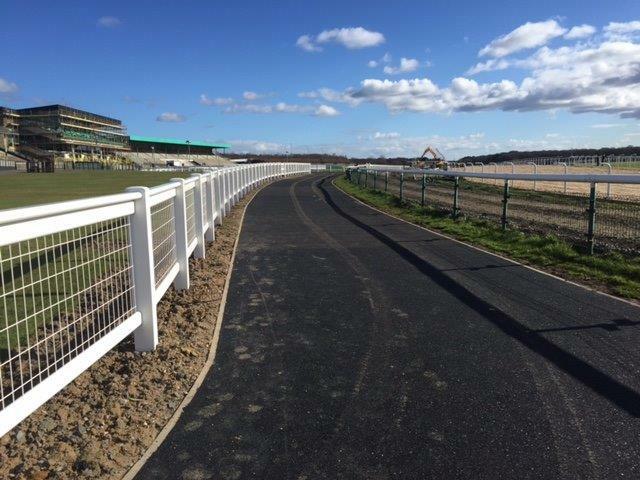 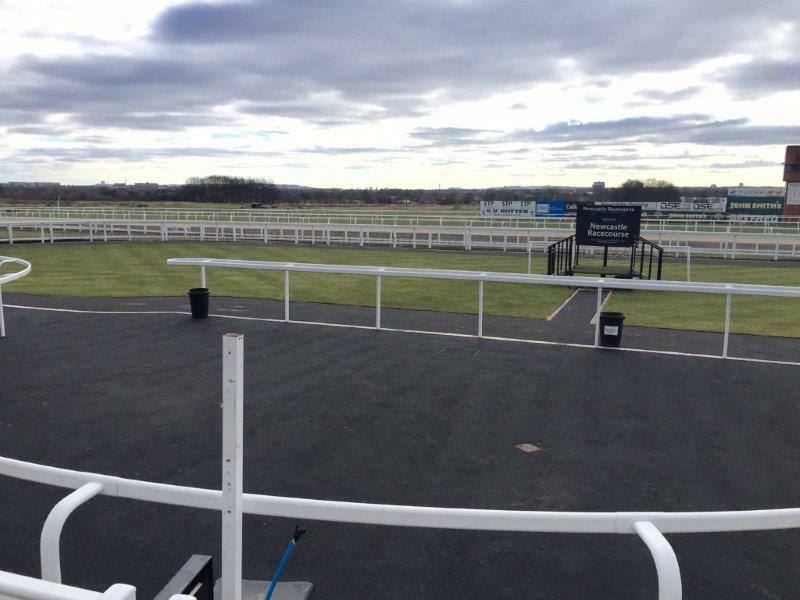 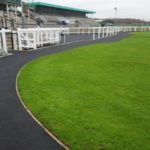 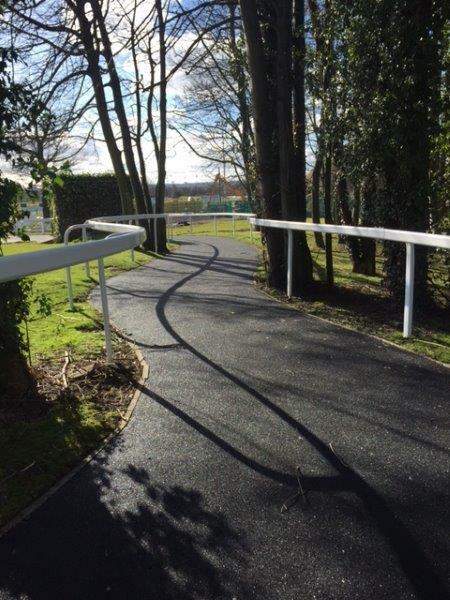 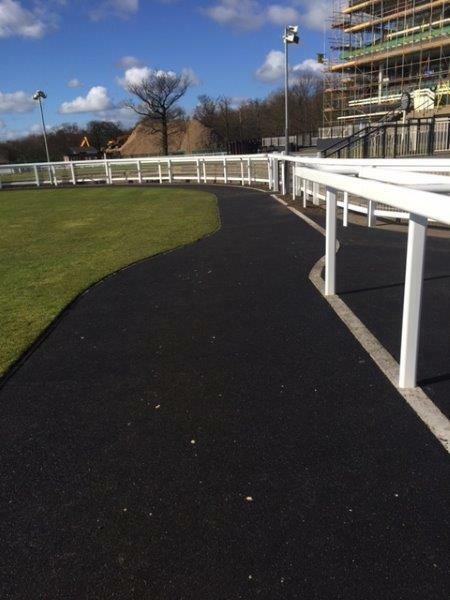 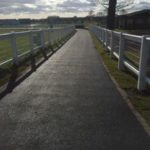 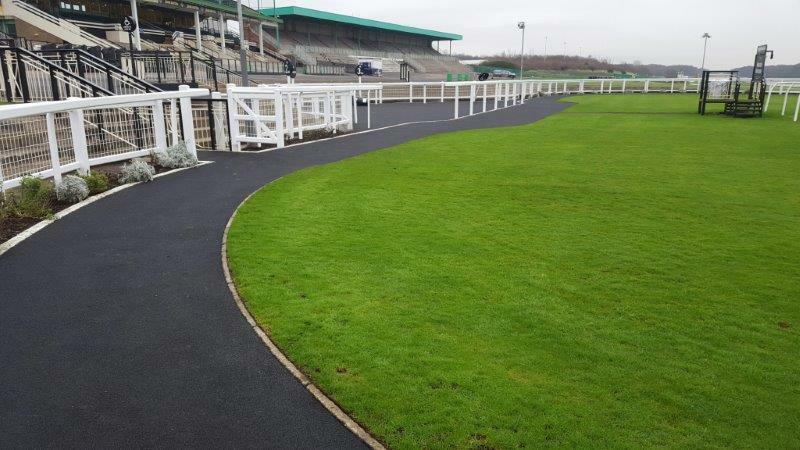 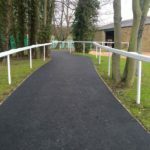 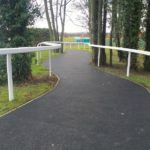 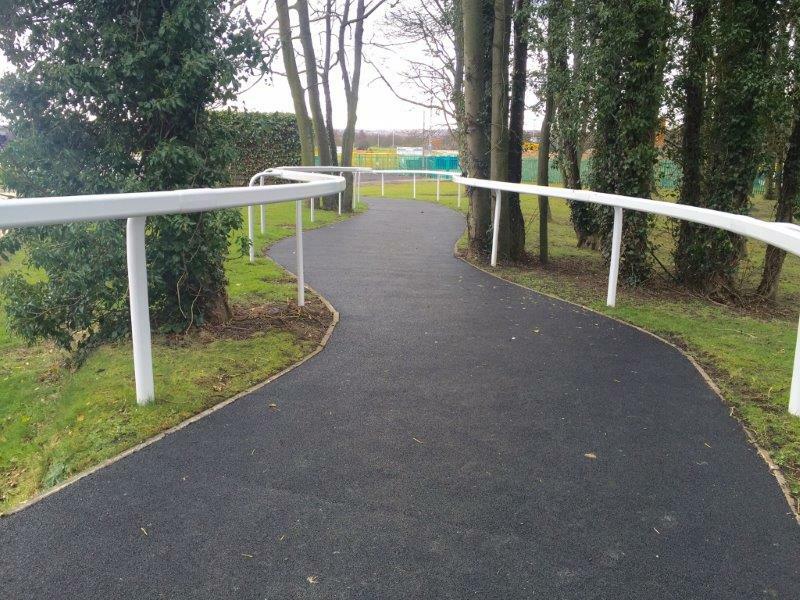 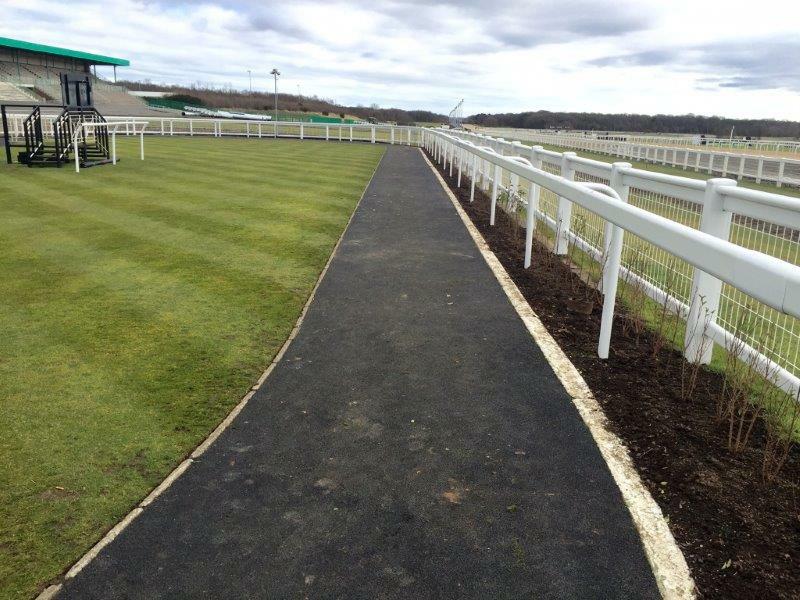 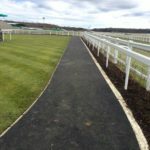 The Black Flexscreed was applied to a new tarmac subbase in the Parade Ring and Horse walks. 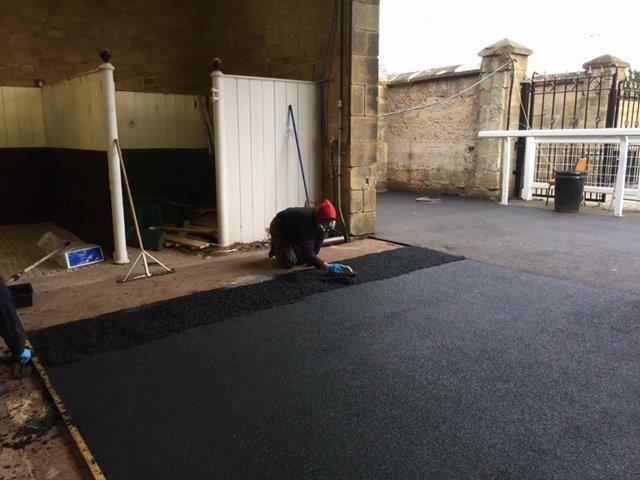 In the Unsaddling Area the Flexscreed was applied over the existing tarmac and concrete surfaces. 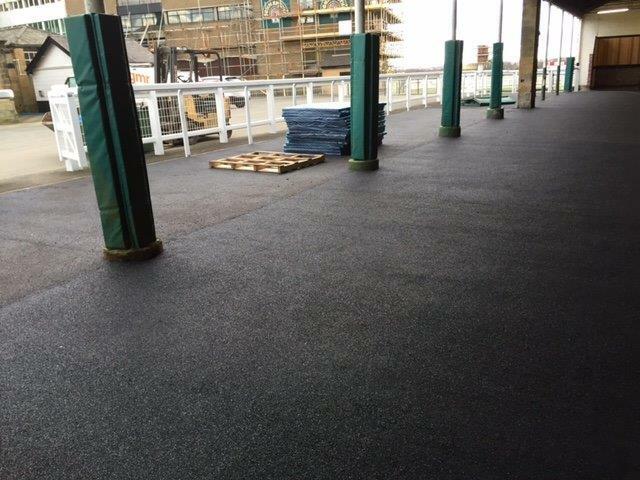 In the Saddling Boxes the Flexscreed was sealed using our flexible grout sealers to give an easier to clean surface. 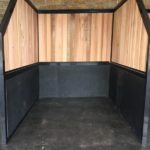 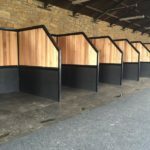 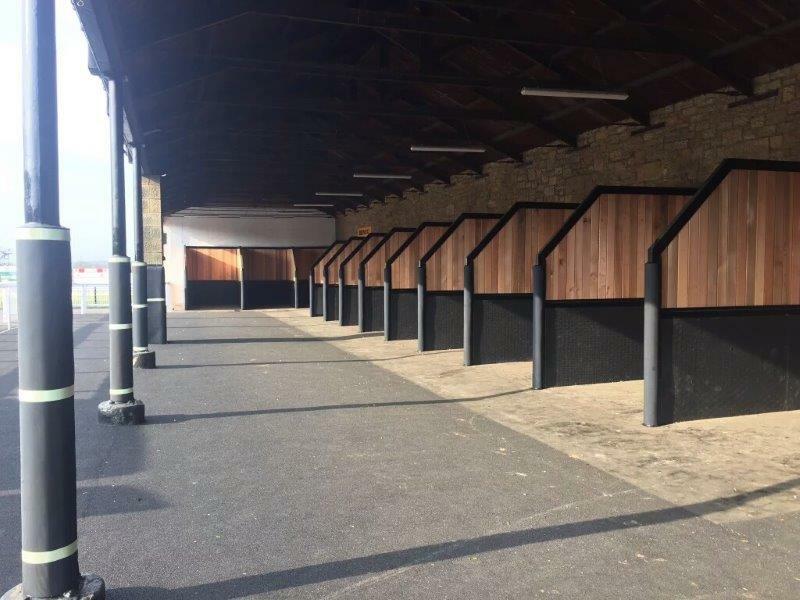 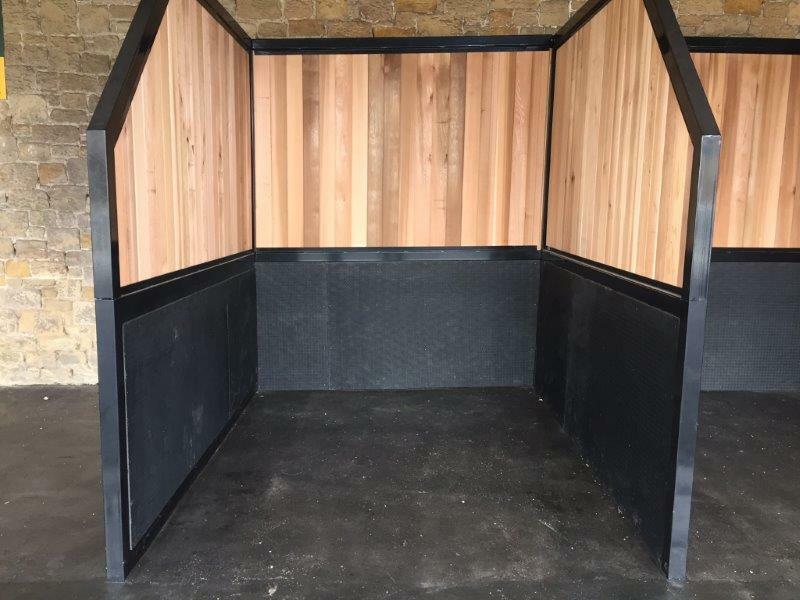 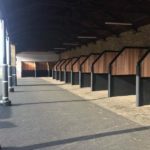 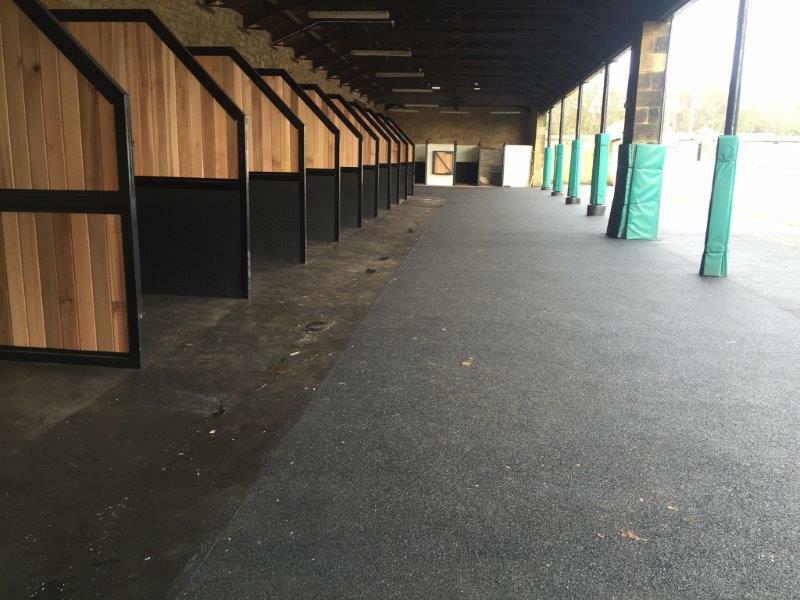 Quattrosoft Eva Mats were fitted to the Saddling Box walls to protect the horses and the new partitions. 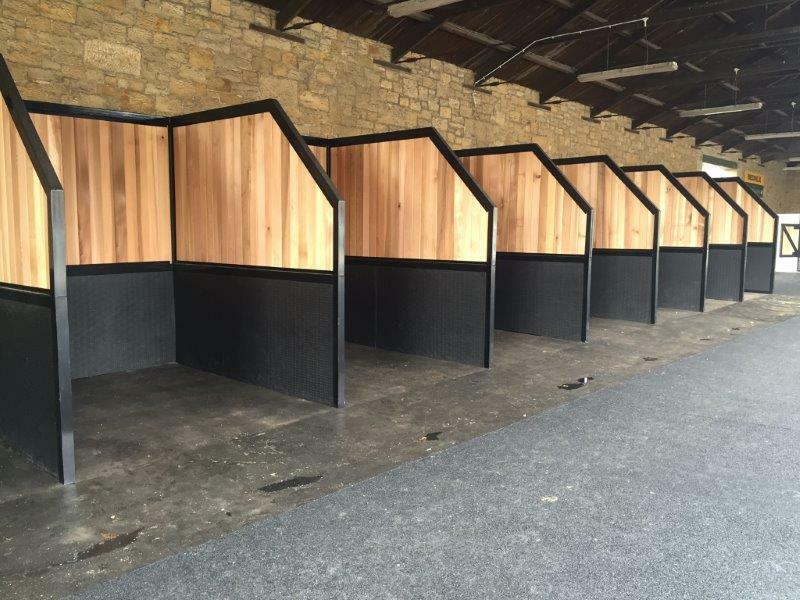 We were also asked to provide a strong padding to cover the pillars in the Unsaddling Area to protect the Horses. 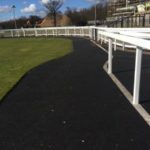 This we carried out with our Equiflex Wall Padding which we also use on the entrance/exit ramps of Equine Pools & Seawalkers.